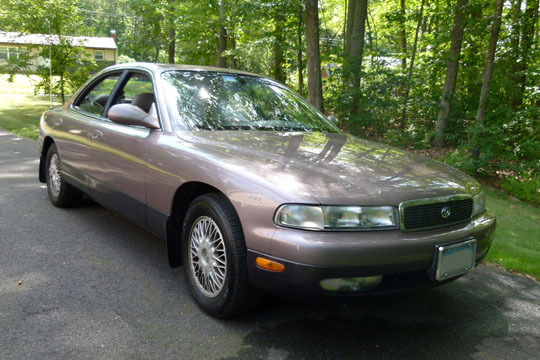 "I did want to let everyone know that I was really impressed by the number of serious inquiries about the car we received from running an ad with you. If you ever need someone to recommend the effectiveness of advertising on your site and newsletter, I would be glad to tell them how easy and effective it was. 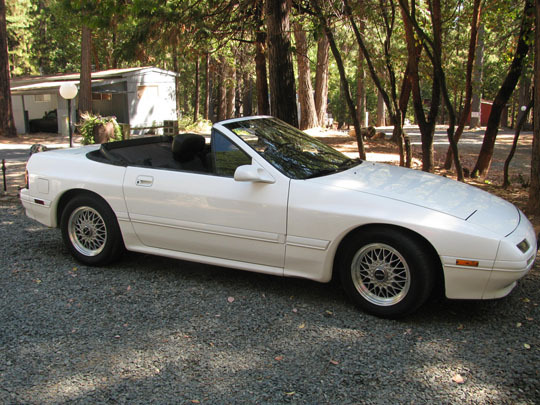 - Neil Benjamin"
1991 White Mazda RX 7 convertible. Beautiful little car - runs great - looks great. 153,480 MILES - automatic - Rotor 2 engine - CLEAR TITLE VIN # JM1FC3522M0903558 contact Dave - Pioneer, CA. 209-295-4685 or e-mail drburns@volcano.net . Swap meet ads are free to MC members. Please limit swap meet ads to one per issue per member and to 50 words or less. Ads will appear for a minim um of 3 months on the website (and may appear up to 6 months depending on space) and in at least one issue of the club printed magazine and emailed emagazine (and may appear in 2 depending on space) must be resubmitted for additional time. Ads will appear in our club magazine the OnlyWay, in the eOnlyWay, on Facebook and Twitter. For others and for commercial suppliers (or additional ads for members) the rate is $15.00 for 50 words or less. Additional words are 50 cents each. Deadline dates are the same as for the other MC ONLY WAY items which are found in the AD RATES area of this website. 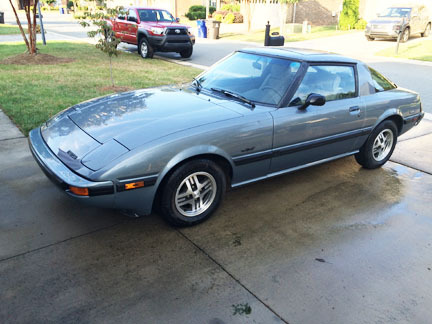 The Mazda Club makes no claims, either stated or implied, concerning the quality, authenticity or availability of items offered and claims no responsibility for any transactions as a result of the swap meet ad. if you are not a member you can send ad by email and then pay for ad by entering credit card info on our credit card/PayPal form or secured site area and sending the ad itself by email to info@mazdaclub.com or use the classified ad submit form here.